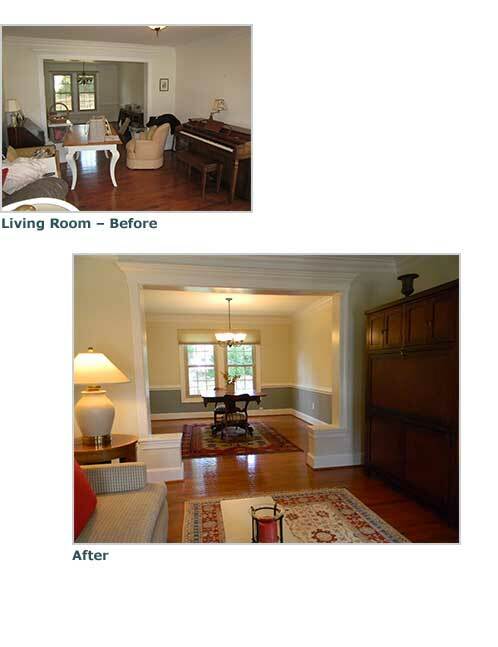 My client needed to get her house ready for market, and realized she needed help making it shine. I went in and did a full assessment of everything I felt needed to be addressed in order to get her a quick sale and a terrific price. I edited down the furniture keeping only a limited selection, allowing her to move most of her possessions into her new home. The rooms got painted, all floors cleaned, all windows, doors, cabinets and closets cleaned as well. Lighting fixtures were replaced, art moved around, and a few new decorative items were purchased for the finishing touches. Once the landscaping was completed, off we went. My client increased her price by $10,000 at the last minute and the house went under contract immediately with two back-up offers in hand.